All-purpose concentrate cleaner to be deluded for washing tile floors, linoleum or other bigger surfaces. Bright Cleaning Services understands that the client could have own preferences due to their medical condition, allergies, or simply point of view about the subject. 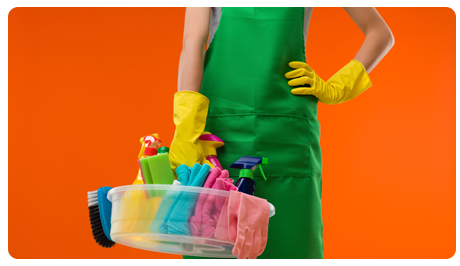 Bright Cleaning Services always respect the client request about using specific cleaning products.